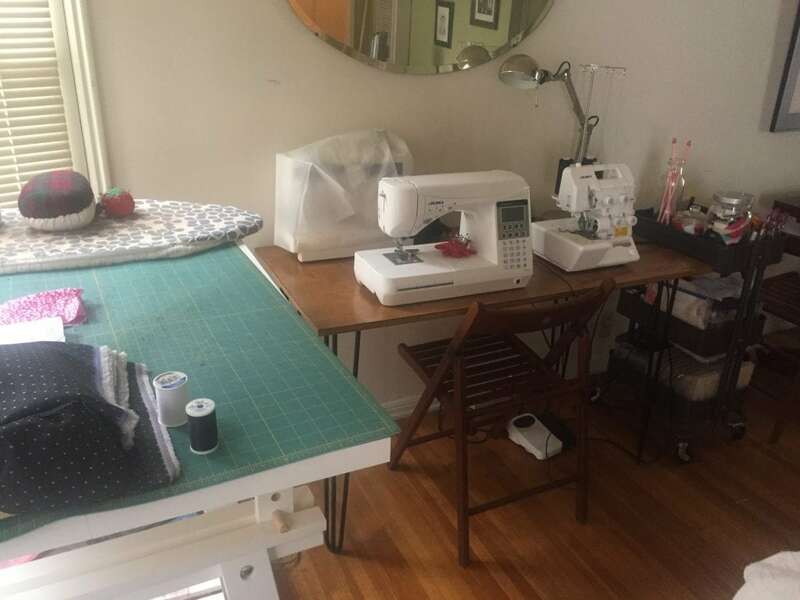 For most of my sewing life, my studio was my dining table. We eat at the coffee table while watching TV (I know, I know, we are grown-ups, but what can I say? ), so we never really had much use for a dining table. First, it was just the sewing machine—and only when I was sewing, but then I was sewing all the time. Then came the serger. When I bought a cutting mat, the table was completely taken by all things sewing. And for the last seven years, this was my sewing studio. Last year, I decided that I needed a more permanent situation. I did my research and planned to “make” my own table. I purchased these legs from Amazon, bought a cheap piece of wood, some stain, and built my own sewing table. For my cutting table, I was lucky to find some legs for cheap on NextDoor, and I spent less than $10 on an Ikea table top. 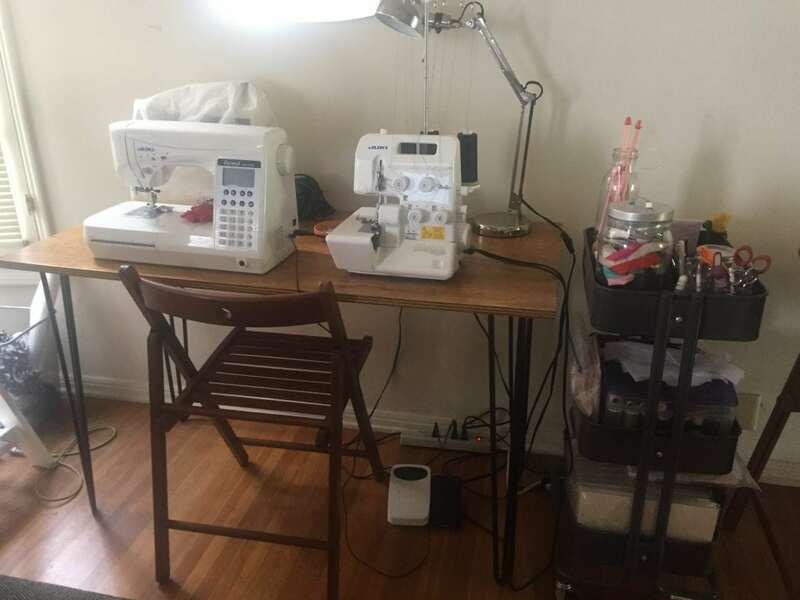 For the first time ever, I have a sewing space. No more moving everything when we have guests; no more bending over a table that is too short not to cause some serious lower back pain; no more feeling guilty about making the place look like a mess. I have the most satisfying sense of accomplishment. We have a dining table (even though we continue to have our meals in front of the TV), and I have my own sewing space. I can cut, pin, sew, and serge to my heart’s content.